Kurdish armed forces - Peshmerga - took under full control city of Kirkuk, Iraq's major oil production center, after the federal army fled the city and abandoned all bases there, Kurdish militarys said 11 June 2014. “The whole of Kirkuk has fallen into the hands of Peshmerga," claimed on Thursday Kurdish spokesman Jabbar Yawar. “No Iraqi army remains in Kirkuk now.” This came following the collapse of the Iraqi army in the face of advances by the radical Islamist group, the Islamic State in Iraq and the Levant (ISIL). With Iraqi Kurds taking control of Kirkuk, it was likely that Ankara would have to rethink its policy towards the Kurds in the region. Ankara had warned them against taking control of the oil-rich city, which was seen as another step towards independence. Ankara had strongly opposed Iraqi Kurdish aspirations to take control of Kirkuk, arguing it belongs as much to the Iraqi Turkish minority. The oil-rich province of Kirkuk is one of the most disputed areas by the Kurdistan regional government and the Iraqi government in Baghdad. The Kurds are seeking to integrate the province into the semi-autonomous Kurdistan Region clamming it to be historically a Kurdish city, it lies just south border of the Kurdistan autonomous region, the population is a mix of majority Kurds and minority of Arabs,www.ekurd.netChristians and Turkmen, lies 250 km northeast of Baghdad. Kurds have a strong cultural and emotional attachment to Kirkuk, which they call "the Kurdish Jerusalem." Kurds see it as the rightful and perfect capital of an autonomous Kurdistan state. The last ethnic-breakdown census in Iraq was conducted in 1957, well before Saddam began his program to move Arabs to Kirkuk. That count showed 178,000 Kurds, 48,000 Turkomen, 43,000 Arabs and 10,000 Assyrian-Chaldean Christians living in the city. Claiming to be the oldest site of continuous occupation in Iraq, Kirkuk sits on archaeological remains that are 5,000 years old. It reached great importance under the Assyrians in the 10th and 11th centuries BC. Historically an ethnically mixed city populated predominantly by Kurds and Turkomen, Kirkuk is important to Kurdish national identity. Kirkuk is also the center of the Iraqi petroleum industry and thus strategically and economically important to the Iraqi state. To ensure Arab control of the oil fields, successive governments in Baghdad have implemented a policy of deliberate Arabization of the city. The forced population movements and forced ethnic registration changes continued under Sadam Hussein, making it likely that there is no longer an official Kurdish majority in the city. Because Kirkuk is one of the centers of Kurdish national identity, both the KDP and the PUK claim it as their regional capital. Virtually all Kurds in the province are Sunni, while the Turkmans are half Sunni and half Shia. There are virtually no Shia Faily / Faili Kurds near Kirkuk. Over half a million Faily Kurds were deported to Iran from Iraq from 15 April 1980. The deported Faily Kurds lived in their historical Ilamite region to the east of Tigris in Iraq, neigbouring their fellow Kurdish kins in Ilam province in Iran. Very few Faily Kurds belong to the PUK or the KDP, but vote with the Shia of the south. The PUK and KDP do not offer much support to the Faily Kurds, because they are not from the north. Kirkuk is the center of Iraq's oil industry and is connected by pipelines to ports on the Mediterranean Sea. The Kirkuk field, originally brought online by IPC in 1934, still forms the basis for northern Iraqi oil production. Kirkuk has over 10 billion barrels of remaining proven oil reserves. After about seven decades of operation, Kirkuk still produces up to one million barrels a day, almost half of Iraqi exports. Kirkuk is a market for the region's produce, including cereals, olives, fruits, and cotton. There is a small textile industry. Kirkuk is built on a mound containing the remains of a settlement dating back to 3000 B.C. The majority of the inhabitants are Turkmens with Kurds, Arabs, Assyrians and Armenians. Kirkuk is located in northern Iraq, about 250 kilometers north of the capital of Baghdad near the foot of the Zagros Mountains. 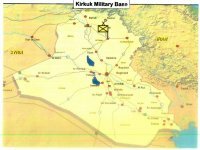 Kirkuk lies just south of the no-fly zone patrolled by U.S. and British aircraft to prevent Saddam from attacking the Kurds and other minorities. The city is built by the Hasa river on an area with archaeologic remains over 5000 years old, the city reached great prominence in the 10th and 11th centuries, under Assyrian rule when it was known as Harrapha. The oldest part of the town is clustered around a citadel built on an ancient tell, or mound. The discovery in 1908 of oil by British explorers in Masjid-i-Sulaimant led to the creation of British Petroleum (BP). This highlighted the potential of the region that was to be exploited following the collapse of the Ottoman Empire in 1918. Oil was discovered in Kirkuk in northern Iraq in 1927 and around the same time attention was shifting to the western littoral of the Gulf. The Kirkuk region, rich in its oil fields and farm lands, has been one of the principal obstacles to finding a peaceful solution to the Kurdish question in Iraq. In the 1970s and 1980s, the Iraqi regime destroyed over 3,000 Kurdish villages. The destruction of Kurdish and Turkomen homes is still going on in Iraqi-controlled areas of northern Iraq, as evidenced the destruction by Iraqi forces of civilian homes in the citadel of Kirkuk. The Kurdistan Democratic Party, led by Masud Barzani, controls a part of the de facto autonomous region of Iraqi Kurdistan adjacent to Kirkuk. As of early 1988, Iraqi artillery shells, bombs, and rockets loaded with chemical warfare (CW) materials were stored either at Samarra or in a large ammunition dump near the town of Muhammadiyat. This facility was located outside of Baghdad. Additionally, 122-mm rockets temporarily were stored at the airbase in Kirkuk for further transport to Sulaymaniyah. 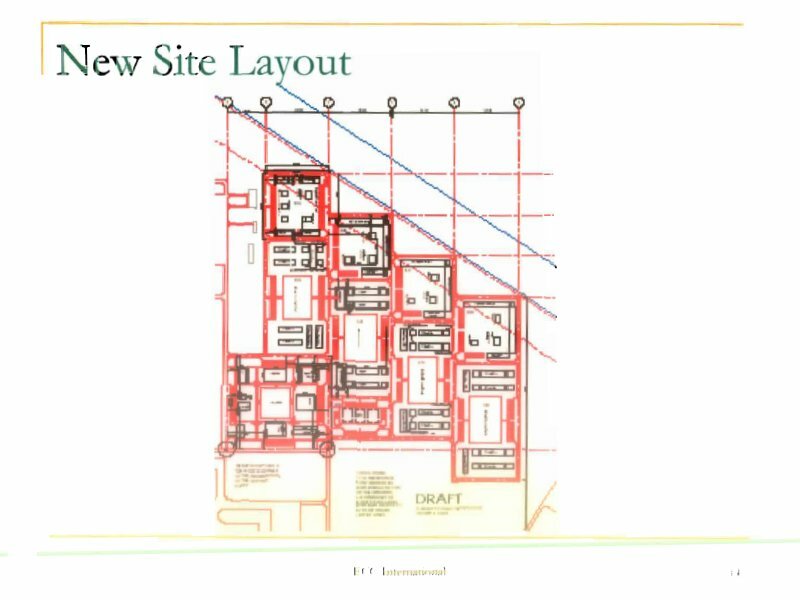 Mention of CW storage at "the airbase in Kirkuk" in the 1988 report further strengthened the US intelligence community's focus on S-shaped bunkers and the assessment that they would be used for forward deployment of chemical munitions, but were not intended for long-term storage. 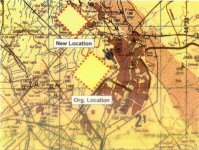 Post-1991 fighting between Kurdish and Iraqi forces in northern Iraq resulted in temporary sabotage of the Kirkuk field's facilities. In 1999, production at Kirkuk was estimated at 900,000 bbl/d, with output from all northern fields around 1.26 million bbl/d. In early December 1999, Russian energy company Zarubezhneft said that it was drilling multiple wells in Iraq's Kirkuk oil field, and that this did not violate U.N. sanctions (Russian officials have denied that any work was being done). Zarubezhneft hoped to boost Kirkuk production capacity from its current 900,000 bbl/d to around 1.1 MMBD. Zarubezhneft also had a contract to drill approximately 100 wells in the North Rumaila field. Production from Kirkuk reached as high as 680,000 bbl/d, well above the field's estimated optimal production rate of 250,000 bbl/d, as Iraq attempted to sell as much oil as possible in the months leading up to the March/April 2003 war. In addition, some analysts believe that poor reservoir management practices during the Saddam Hussein years --including reinjection of excess fuel oil (as much as 1.5 billion barrels by one estimate), refinery residue, and gas-stripped oil -- may have seriously, even permanently, damaged Kirkuk. Among other problems, fuel oil reinjection has increased oil viscosity at Kirkuk, making it more difficult and expensive to get the oil out of the ground. In order to better understand the state of the Kirkuk reservoir, a contract was signed in early 2005 for Exploration Consultants Ltd. and Shell to carry out an integrated study on Kirkuk, with work scheduled to be completed by early 2006. 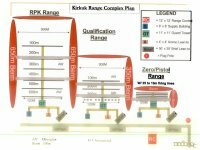 This will mark the first such study in three decades for Kirkuk, and was significant in that it will use the latest technology. The Kurdish Democratic Party, the more powerful of the two Kurdish groups that control parts of northern Iraq, was determined to make Kirkuk the political capital of a Kurdish federal state in a post-Saddam Iraq. The KDP has drafted an Iraqi constitution outlining such a state, with Kirkuk as its most important city. Turkey opposes Kurdish control of Kirkuk, fearing it would strengthen Kurdish autonomy. Under the Ba'ath party the the city's main government building had a sinister purpose. Three different ministries once operated inside the building, the Department of Resolution, the Department of People Affairs and the Order of 111. The Dept. of Resolution was believed to have taken care of the regime's drug smuggling operations and its police-sanctioned auto theft ring. Permits (and what appear to have been blatant bribes) were required by citizens to build just about anything within Kirkuk and were handled by the Dept. of People Affairs. The Order of 111 was believed to have facilitated Saddam's efforts to Arabization the region-often by forcefully evicting local, non-Arab residents from their homes, Roughneen explained. 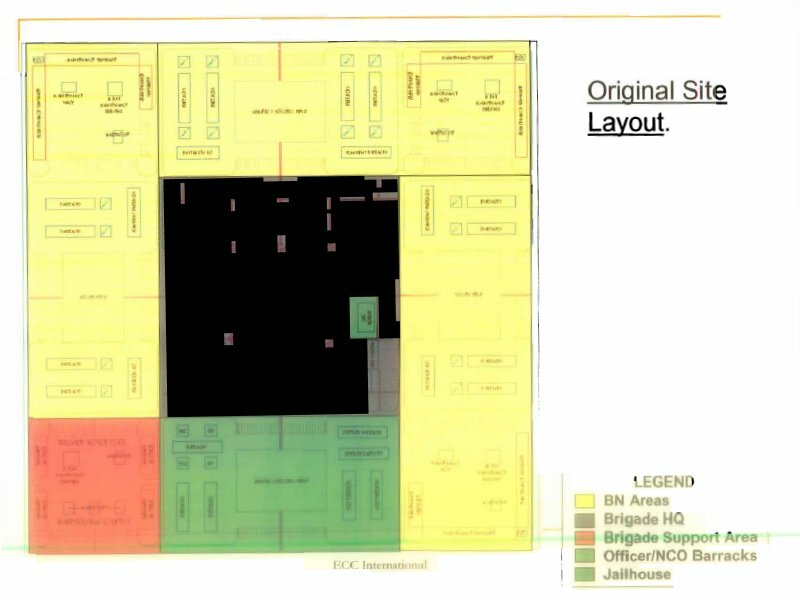 Though many of the returning workers are the same ones who worked in the building under Hussein, their names have been checked through various sources to help ensure they have a clear background. Community leaders and soldiers from 4th Infantry Division's Task Force Ironhorse and the 173rd Airborne Brigade have joined forces to repair the neglected sewage system in Kirkuk. This project will rid the streets of disease-laden sewage that area families have had to live with, bathe in and wash dishes in for more than two decades. Under the former regime, Kirkuk's sewage system had been neglected for the past 25 years, leaving it in shambles. Before the sewage repair project was initiated, 30 percent of the city's sewage was dumped in the streets, 50 percent was transported to a non-operational sewage plant where it quickly seeped back into the city's water system and the other 20 percent was stowed in containers then dumped outside the city. With the help of Coalition forces, the city was repairing this key piece of infrastructure. Six projects were under way to clean sewage from the streets. In early 2005 the United States Agency for International Development completed a $4.1 million refurbishment of the Kirkuk Unified Water Treatment Plant, benefiting over one million residents of Kirkuk City and its surroundings. Construction of Kirkuk's Unified Water Treatment Plant began in the early 1980s, but was interrupted due to the conflicts with Iran and Kuwait. In 1993, the plant was completed and commissioned. 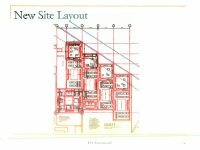 After several years of operation, however, pipe and tank leaks began contributing to foundation and structural problems. Prior to USAID's refurbishment project, which began in January of 2004, the plant's production was approximately 22 million gallons of water per day. Furthermore, the plant did not consistently produce potable water because of system failures and operational deficiencies. Following a year of reengineering, the Kirkuk Water Treatment Plant was capable of delivering 95 million gallons of potable water each day. The plant will permanently employ approximately 100 Iraqis. Approximately one million dollars worth of operational spare parts, tools, and safety equipment used in the upgrade were transferred to the Ministry of Water upon completion. In October 2004 Abdul-Rahman Mustafa, governor of Iraq's northern city of Kirkuk, denied allegations from Turkey and some Turkomen representatives that any attempts have been made to change the demographic character of Kirkuk or to "re-Kurdify" the city after the Arabization program under the former Saddam Hussein regime. Mustafa held to his position that the entire population of Kirkuk should collectively and jointly decide the future of the city -- Kurds, Arabs, Turkomens and Assyrians -- without any outside interference. Mustafa said, "We shall do our best to improve conditions in Kirkuk. If we have not succeeded so far, it is because of lack of sufficient funds and resources. Our aim is to turn Kirkuk into a city of 'brotherhood' among all ethnic and religious groups in the region." The US policy on the status of Kirkuk was that efforts to remedy the unjust policies of the Saddam government in and around Kirkuk, which included the forced deportation of residents, confiscation of property and the manipulation of administrative boundaries, are internal issues for Iraqis to decide. The Transitional Administrative Law (TAL), which was drafted and agreed to by Iraqis, lays out specific steps to undo Saddam Hussein's terrible legacy. 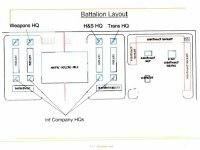 In January 2004 it was announced that work would start soon on a $28.3 million project to renovate the Tadji Military Base and Iraqi Armed Forces recruiting stations. The recruiting stations are at Al Hillah, Kirkuk and Baqcuba. The project was funded through the Project Management Office (PMO) of the Coalition Provisional Authority. The PMO manages the $18.4 billion appropriated by the U.S. Congress to support the reconstruction of Iraqi infrastructure. The project was important to the Iraqi security necessary to continue with the major task of rebuilding the nation's infrastructure. A key benefit of completing this project was to give the Iraqi Armed Forces the facilities they need for the defense of their country. Helping Iraqis gain jobs and build industries will have a direct impact on their safety and security. The work was completed by early June 2004. 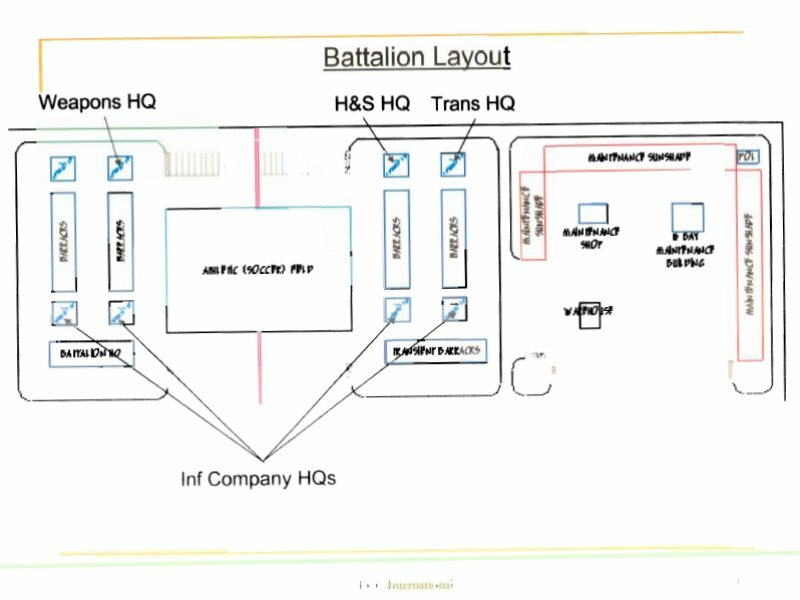 The prime contractor, Parsons Infrastructure & Technology Group of Pasadena, California, U.S.A. involved Iraqi contractors, suppliers and labor. Dibis Camp, located outside Kirkuk in the town of Dibis, was formerly known as Forward Operating Base (FOB) Dibis. It was renamed Dibis Camp shortly before the base was handed over to the Iraqi Army. The new Iraqi Army of 40,000 persons require basing facilities at 18 locations. 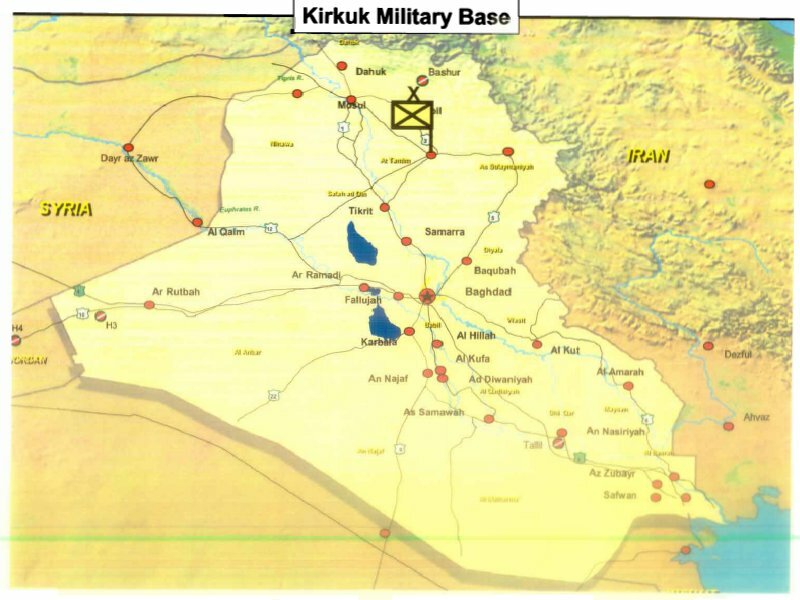 Prospective Military Bases to re-construct include Kirkuk. 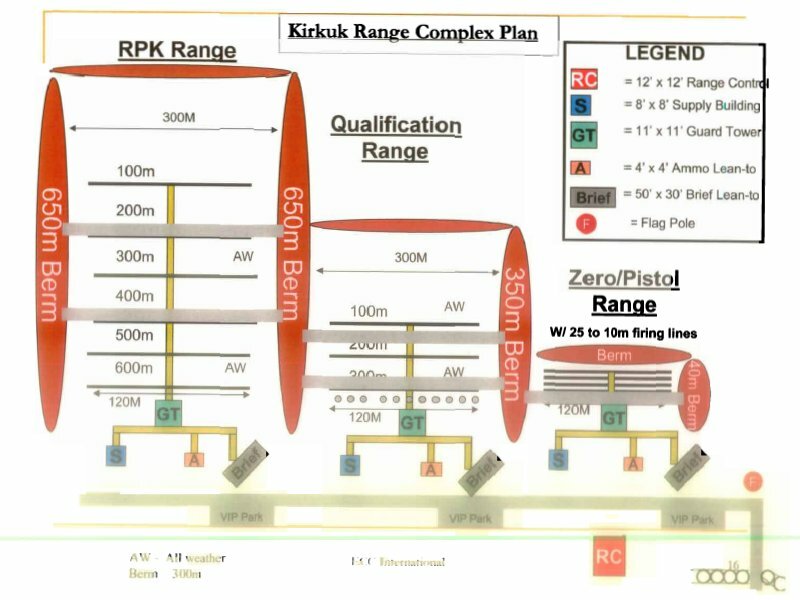 The Coalition Provisional Authority (CPA) Contracting Office has budgeted $137,145,375 to renovate Kirkuk Army Base (Phase I). 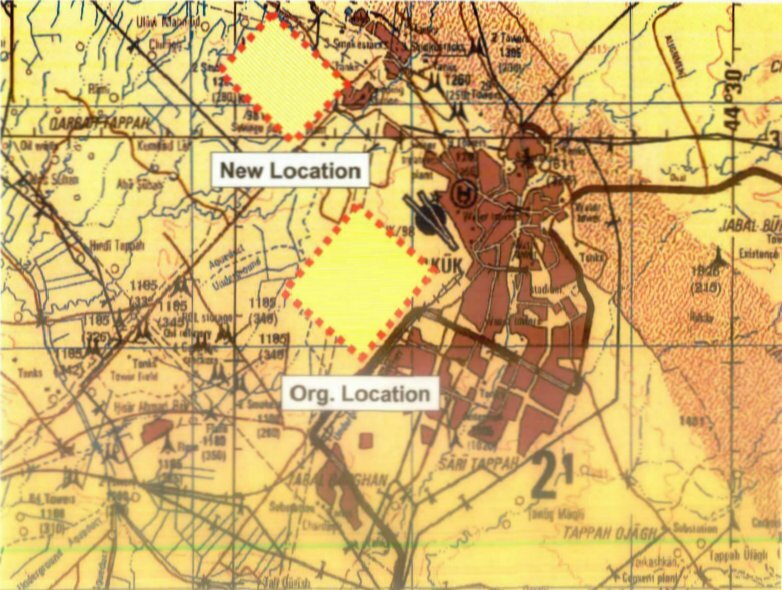 FOB Gain's Mills was located southwest of Kirkuk in an area known as Yachi. While not stellar, the food and housing facilities at Gain's Mills are servicable.